Growing up, the first fashion icons I had in my life were the Disney Princesses. I watched Disney movies over and over until I could recite all of the lines, and I dreamed of living in a castle, finding true love, and of course, wearing beautiful clothes. As a young child, it was easy to dress like my favorite princesses because there were Disney t-shirts, shoes, and even princess dress-up costumes; however, now that I’m a college student, I would look ridiculous if I walked around wearing those same items. Although it’s tricky to take fashion inspiration from the Disney Princesses without looking like you’re going to a Halloween party, it is possible and can actually look great if done right. Don’t believe me? Read on and you’ll see. 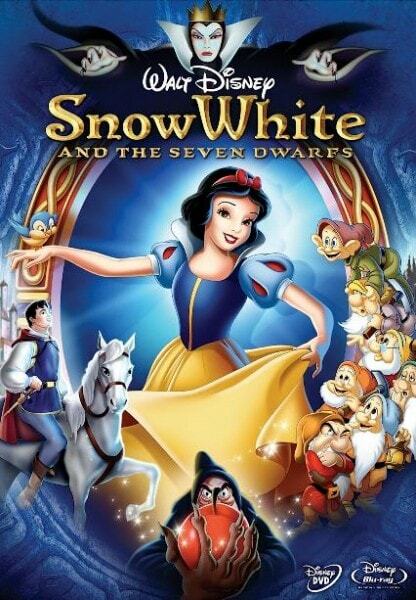 Snow White always wears the primary colors: red, yellow, and blue. She is a big animal lover. Her makeup is fairly simple, with the standout feature of ruby red lips. In the movie, she is tricked into eating a poisonous apple. The look we’re going for here is subtley Snow White-inspired: copying her style exactly would make you look like you were in costume, so unless that’s what you’re going for, keep your inspired look subtle and fun. Below, I’ve created some outfits to show you what I mean. The luxurious material of the top and the full skirt make this outfit fit for a Princess. The necklace has a bird on it, which is very Snow White, and the shoes are the perfect combination of dainty and practical. 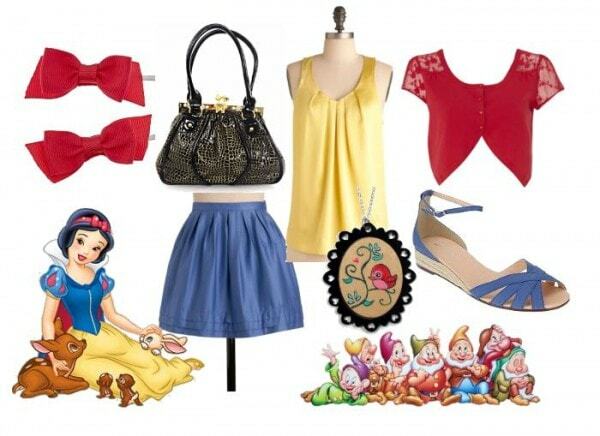 If you’re not into skirts and dresses, you can still rock an outfit inspired by Snow White. The sleeves on the top give a pop of yellow, without being “too much”. This dress is a lot like Snow White’s dress in the film, with the corset top and A-line silhouette, but it’s different enough to not look like it’s a costume. The apple necklace represents, of course, Snow White’s poison apple. 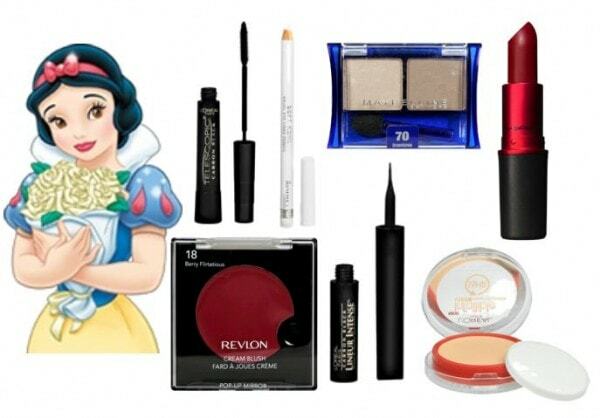 Snow White’s makeup is fairly simple. She naturally has large doe-like eyes, matte skin, red lips, and rosy cheeks. To get this look, wear a bit of cream blush and face powder (of your natural shade, of course – don’t try to look pale if you don’t have naturally pale skin). For the eyes, wear a natural shade of eyeshadow and line the top of your eyes with a liquid liner. Use lengthening mascara to make your lashes stand out. To make your eyes look brighter, line the inner rims of your eyes with white eyeliner. Finish your look with deep red lipstick. Did you grow up idolizing the Disney Princesses? Do you find inspiration in their looks? 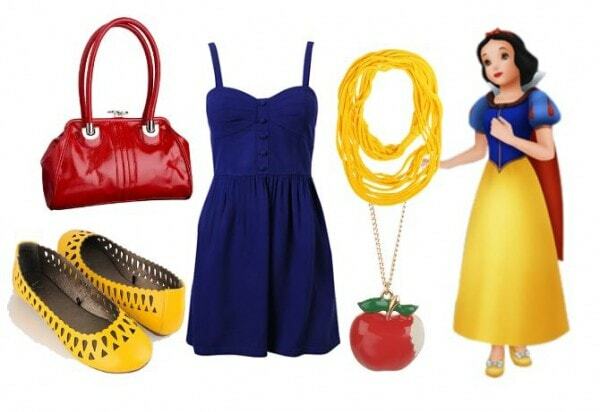 Would you wear any of these Snow White looks? Would you be interested in seeing posts about other Disney Princesses? I want to know what everyone thinks, so be sure to leave comments!